This wooden Kauai totem - also known as Akua Kai (protector of the Ocean and Hurricane)... measures 12 inches tall by 3 inches (30cm X 8cm). Made of hibiscus: stained color! 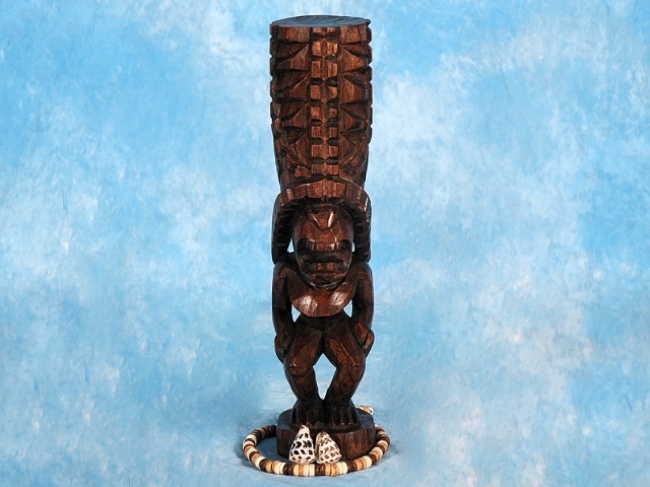 Great addition to any Tiki collection! Please visit our LEARNING CENTER to know more about Hawaiian Tikis and the mythology behind it.